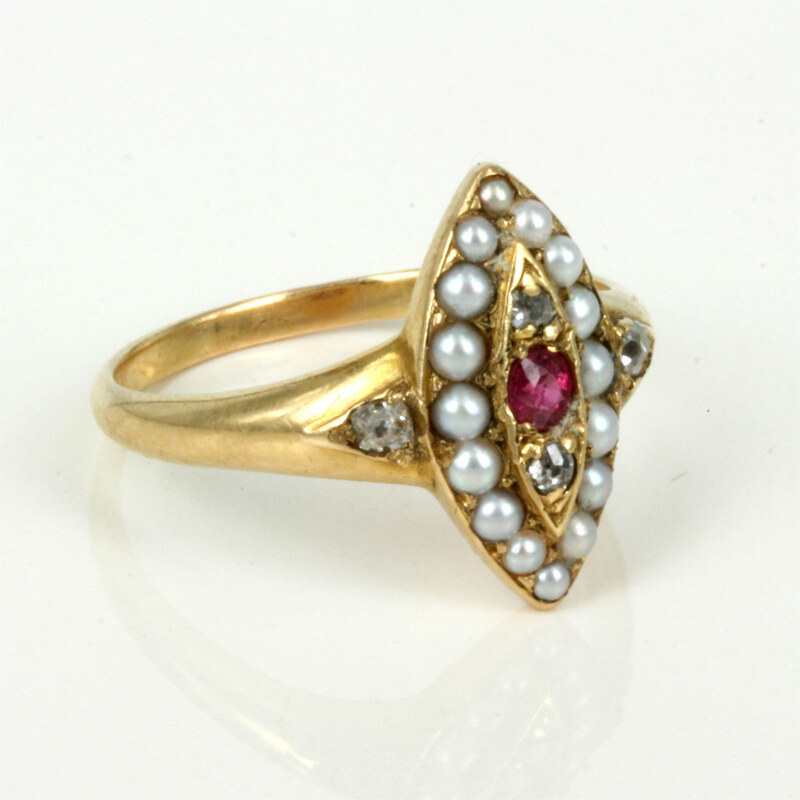 Antique ruby, pearl and diamond ring. Product code: 1427 Categories: Sold Items, Sold Rings. Made in 18ct yellow gold, the ring measures 1.2cm in lenght, and sits so well on any finger. This ring has a real style and class all of its own, and all the colours of the stones compliment each other so well. Set with 1 ruby, the ruby is surrounded by 16 natural seed pearls that graduate in size so elegantly. Giving this ring more sparkle is the 4 diamonds that just lift the whole look. This is a very attractive and elegant ring from the 1890’s that is simply perfect.